Miami, the third largest luxury market in the United States, was once one hundred percent controlled by the Whitman family, owners of the Bal Harbour Shops. For years, the 500,000 square-foot Bal Harbour Shops, located north of Miami Beach on Highway A1A near 5-star hotels and high-rise luxury condos, restricted its luxury retailers from opening second stores in the market.The restriction was justified by the development’s position as the highest producing mall in the United States, with sales reportedly topping $2,900+ per square foot. In recent years, however, the world’s leading brands have begun an exodus to other locations, especially to the new Miami Design District development. We all have those transformative moments in our careers: the moment we won a big award; the moment we were singled out for a great success; and of course the moment we blurted out a giant gaffe – the kind we wanted to retract before the last word left our mouth. We learn from our successes and more from our failures. I’ve been in the retail development business for over 30 years, learning the business at an early age at The Rouse Company; then forming a national property management firm servicing major institution like New York Life, Teachers Insurance, and Stanford University Pension fund and winning several ICSC and ULI national awards along the way. While working on 146 projects which included IKEA, Planet Hollywood, Virgin Megastore, 11 National Parks, luxury hotels and resorts, the 96 Olympic Games and many more – I’ve had a lot of these moments. Recently, however, I encountered one that truly surprised me. While making a presentation to a potential developer on behalf of my client, a family trust with a strategic property in a major boom city, I was criticized for a plan that was labeled as being out of touch. How colorless urban districts are being revived by imaginative citizens. I spend a lot of time looking at the underbelly and backside of cities instead of the preferred Chamber of Commerce photo ops. I find the more humble districts of a city, the ones somewhat frozen in time to be far more interesting. These districts are often located between the showcase blocks of a downtown and the first ring of gentrified neighborhoods. Characterized by acres of underutilized parcels and aging and often functionally obsolete buildings, the “in-between zones” are the most intriguing. Even in their tattered state, the remnant zones of previous industrial, manufacturing, and segregation economies offer hope, promise and the greatest potential for economic development. Barefoot Landing, a lifestyle and entertainment shopping center, located in Myrtle Beach, SC, was sold in April to a subsidiary of Burroughs and Chapin for a reported $43 million. The waterfront village, consisting of approximately 100+ shops, restaurants, and entertainment venues was developed by Sam Puglia. In the early 1950,s, in the face of a declining amusement park industry, Walt Disney conceptualized Disneyland based loosely on Tivoli Gardens in Copenhagen Denmark, which had opened in 1843 as a public amusement garden themed around the stories of Hans Christian Anderson. On July 17, 1955 Disneyland opened in Anaheim, with a formula of year round good weather, large parking areas, and easy highway access. His blueprint included a traditional American main street with retail shops and concessions and themed lands with rides and shows borrowed from children fairy-tales and an overall sense of nostalgic community. In my last post, I suggested that many planners, architects, and builders of today appear to have lost sight of the true sources of inspiration: the fusion of a diversity of people, art, and technology. They fail to recognize that the built environment must be a product of the contemporary culture of its communities. In the book Cities of Collective Memory, author Christine Boyer chronicles how early forms of art, entertainment and cultural celebrations influenced the architecture, design and creation of historic public space and civic places. Her writings explain how events, ceremonies and their associated pageantry were products of their cultural environments. She writes that today these special places have become containers of our collective civic memories, connecting us to our past, which, in part, forms our identity. She is rightfully critical of modern urban developments that combine elements from previous eras, haphazardly recombining them out of context, time, and environment to create places without meaning. In my last post, I discussed the historical symbiotic relationship between art, fashion, entertainment, and commerce. I shared with you how art, technology, and design have inspired some of our most creative and original community spaces, including the very early shopping malls designed by Victor Gruen. Urban revitalization and rebirth occurs in short and dramatic creative flourishes stimulated by discoveries, technology breakthroughs, and innovations that generate an influx of capital and people from diverse backgrounds. The mixing of money, people, opportunity, and the lack of accommodating social institutions, inspires the human imagination to achieve great leaps in creativity, resulting in city transformations. In my last post, I shared with you my vision of the enclosed shopping mall of the future, depicting it as a consumer sanctuary that will subtly nourish our senses and enhance our experience of being human. I described fluid spaces formed with new technology and materials incorporating light, water, botanical gardens, music, and art. For hundreds of years, the relationship between art, fashion, entertainment, and commerce has been one of symbiosis. The celebrated showman P.T. Barnum understood this relationship well. In the 1860s, Barnum suggested to his friend R. H. Macy that he put his cherished collection of mechanical toys in the windows of Macy’s flagship New York department store at Christmastime. In my last post, I discussed the threat of internet shopping to the modern shopping mall, and I suggested the complete rethinking of shopping-center designs by owners and developers. We must conceive of the built marketplace through a different way of thinking, one that challenges the very notion of a fixed brick-and-mortar place. We must envision something that is adaptable, varied, flexible, dynamic, and fluid—something that can accommodate a far more dynamic mix of shops. This cannot be achieved by building more space that requires a sledgehammer to change it. This is the home of Rick Hill’s Blog. 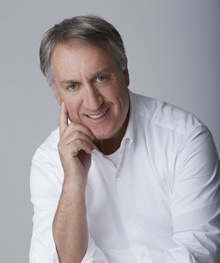 Rick is the founder of J. Richard Hill & CO. He is a 30+ year veteran in the shopping center and retail marketplace industry. He has produced over 140 strategic plans for many of the world’s most transformative retail developments.